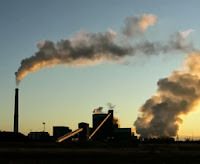 "The Kansas Supreme Court unanimously ruled today to scrap a key permit issued to Sunflower Electric Power Corp. for a coal-fired power project in western Kansas," Manuel Quinones reports for Environment & Energy News. The decision delivered "a victory to environmental groups that accused the state of cutting corners for political reasons," writes John Milburn of The Associated Press. The court ruled in a lawsuit by the Sierra Club and other groups that state officials misapplied air-pollution rules in issuing the permit for a second Sunflower plant near Holcomb, which was planned mainly to serve rural electric cooperatives in Colorado that need power to serve suburban expansion. The plant could be dead, because the court said any new permit must follow new federal rules on mercury and other hazardous pollutants, and earlier this year, a federal court in Washington ruled that the plant was subject to the National Environmental Policy Act because it would be built with Rural Utilities Service loans. Sunflower comprises rural electric cooperatives. Sunflower has been fighting to build the plant for the better part of a decade. For past coverage, click here. For travelers who planned to visit certain national parks, some alternative options within driving distance are suggested by the The Associated Press and the Los Angeles Times. With the Internet such an important part of every day life, and some rural residents still struggling to get connected, if all else fails, the one solution that keeps popping up in stories -- applying for jobs, students preparing for standardized tests, enrolling in the Affordable Care Act -- is to visit your local library for Internet access. That has led the Institute for Museum and Library Services to conduct what is believed to be the first of its kind report on computer use at rural libraries. This seems like a report that could be replicated in every community. The report found that from 2008 to 2011, the number of publicly accessible computers in rural libraries increased about 20 percent to 49,000, and computer use increased 6.7 percent, to 41.3 million uses, Tim Marema reports for the Daily Yonder. During the same period, use of publicly accessible computers in urban areas decreased 9.5 percent. The report states: "Rural areas have less access to broadband services than urban areas. In order to mitigate this disparity in access, rural libraries have made additional efforts to increase their electronic resources." Dee Davis, president of the Center for Rural Strategies, will be a guest today on the KCRW and Public Radio International show "To the Point" to discuss how the government shutdown is affecting rural communities. The one-hour show, which originates in Santa Monica, Calif., and is hosted by Warren Olney, is not available in all areas. It airs live at 2 p.m. EST but may not air fopr several hours in many markets. For a list of stations that carry the show, and showtimes, click here. The coal business has suffered a steady decline in Appalachia, largely due to cheap natural gas, and coal advocates fear it will only get worse with the release of new carbon regulations from the Environmental Protection Agency that limit "emissions from new fossil-fuel-fired power stations to 1,100 pounds of carbon dioxide per megawatt-hour—far less than the average coal plant emits," reports The Economist. "To meet this standard new coal plants would have to capture and store much of their carbon emissions. Critics complain that the technology enabling carbon capture and storage (CCS) is too expensive and works far better in theory than in commercial practice." Kentucky coal jobs in the second quarter of this year reached the lowest number since 1927. Since mid-2011, Eastern Kentucky has lost more than 5,700 coal jobs, or nearly 42 percent of the previous number. In West Virginia, between July 2012 and July 2013, coal mining employment fell 5 percent to 11,829 jobs, reports The Associated Press. The 14th annual Healthy Foods, Local Farms Conference, scheduled from 9 a.m. to 5:30 p.m. on Oct. 12 in Louisville, will focus on food, sustainability, and justice. The conference program says, "Barton Seaver, chef, author, advocate for sustainable oceans and public health, challenges us to see where the true problem lies — with our action or inaction to make changes within the system and within our selves to ensure a food system for all; not just the well-to-do, not just big farmers and corporations, but one that works with nature, looking toward a healthy, sustainable, and just future." Cost of the conference is $35. Registration includes meals, snacks and conference materials. For more information contact Aloma Dew at 270-316-0334, or by email at alomadew@hotmail.com to inquire about scholarships. To register, click here. A Detroit suburb plans to let its voters decide next month whether it will put official notices on its website instead of the local newspaper, stirring fears among community papers that other governments will do likewise and increase momentum for the state legislature to follow suit. Such battles are being fought in many states. "You will be receiving emails from us soon asking for financial help to pay for a campaign against this issue in Novi," about 25 miles northwest of Detroit, says The Bulletin of the Michigan Press Association. "Members may recall when three municipalities did this in the 2009 election. Trenton, Wayne and Ann Arbor all attempted to get voters to agree to letting the fox watch the henhouse and only Ann Arbor succeeded." At the time, the Ann Arbor News had gone online-only. The law was written to force states to expand Medicaid, to avoid loss of the federal money that largely supports the program, but the Supreme Court ruled that was unconstitutional. In states expanding Medicaid, the Times notes, "The federal government will pay for the expansion through 2016 and no less than 90 percent of costs in later years." 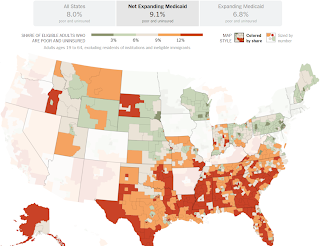 expanding Medicaid; for NYT's interactive version, click here. The people left out are "stuck between people with slightly higher incomes who will qualify for federal subsidies on the new health exchanges that went live this week, and those who are poor enough to qualify for Medicaid in its current form, which has income ceilings as low as $11 a day in some states," the Times reports, noting that 60 percent of African Americans live in states not expanding Medicaid, and about 50 percent of Hispanics do. "The 26 states that have rejected the Medicaid expansion are home to about half of the country’s population, but about 68 percent of poor, uninsured blacks and single mothers. About 60 percent of the country’s uninsured working poor are in those states. Among those excluded are about 435,000 cashiers, 341,000 cooks and 253,000 nurses’ aides." In Mississippi, 13 percent of residents are among these truly poor, uninsured people, the highest share in the country. The Times reports that 56 percent of all poor and uninsured adults are black, though they account for just 38 percent of the population. And it won't get any easier for those trying to get insurance, especially for people like Willie Charles Carter, "an unemployed 53-year-old whose most recent job was as a maintenance worker at a public school. His income is below Mississippi’s ceiling for Medicaid—which is about $3,000 a year—but he has no dependent children, so he does not qualify. And his income is too low to make him eligible for subsidies on the federal health exchange." Carter told the Times, "You got to be almost dead before you can get Medicaid in Mississippi." Farmer-author-poet-philosopher Wendell Berry is the focus of the latest Moyers & Co. program on public television stations, starting tomorrow. Bill Moyers interviewed Berry before an audience (a rare event for Berry) during a sustainabilty conference this spring at St. Catharine College in Kentucky, where Berry and his daughter Mary have started an ecological agrarianism program to address issues of land use, agriculture and food, which Berry has been writing about for decades. "He is one of, if not the great, writer in American letters right now," writer Bill McKibben tells Moyers. "He understood what was happening on this planet a long time before anybody else. He's, you might say, a prophet of responsibility." Berry talks about his recent forays into environmental activism, including a sleep-in at the Kentucky governor's office to protest mountaintop-removal coal mining. "We don't have a right to ask whether we're going to succeed or not," he tells Moyers. "The only question we have a right to ask is, 'What's the right thing to do?'" Check local TV listings for stations and broadcast times. Berry's fellow Kentuckians can see the show Sunday at 11 a.m. on KET and 6 p.m. on KET2. A study in Indiana County, Pennsylvania (Wikipedia map) by Duke University found radium in a creek downstream from a wastewater treatment plant, indicating that "the plant continued to treat and release wastewater from Marcellus [Shale] fracking sites" even though the plant and the Pennsylvania Environmental Protection Department said it stopped in 2011, David Conti reports for the Tribune-Review in Pittsburgh. The state agency and plant owner Fluid Recovery Services "signed an agreement in May that bars the facility from accepting, treating or discharging wastewater from unconventional drilling operations, such as those used to extract natural gas from the Marcellus Shale through hydraulic fracturing," Conti reports. The draft environmental impact statement is one of 15 being conducted as part of the BLM's "ongoing effort to develop a 'National Greater Sage-Grouse Planning Strategy' that would stretch across 10 western states and cover the estimated 47 million acres of sage grouse habitat under BLM control," Streater writes. As if the Patient Protection and Affordable Care Act isn't confusing enough, and perhaps because it is, scam artists are making phone calls to take advantage of it, according to the Better Business Bureau. The callers claim to be from the federal government and say you've been selected to receive insurance cards through the reform law, but before they can mail the card, they need to collect personal information, such as a credit card, Social Security number or Medicare ID. The callers may seem credible, often possessing personal information such as a bank account number or bank routing number. Buying insurance through the state exchanges that opened yesterday under the federal health reform law should be easy, as long as you have access to the Internet and your state site is working. But for many rural residents it isn't that simple. That's a big problem in rural areas such as West Tennessee, where many aren't online or don't even have a computer. So far, the only solution officials can come up with is to advise people to use the Internet at their local library, Justin Hanson reports for WMC-TV in Memphis. 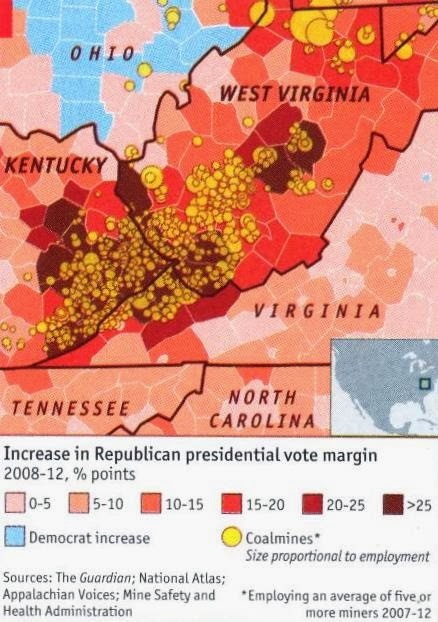 One reason people in Tennessee don't have more information is that the administration of Republican Gov. Bill Haslam put obstacles in the paths of "navigators," the Obamacare name for workers who are being paid to explain the law and the exchanges to people who are unfamiliar with buying health insurance, and "anyone who might give advice on health insurance - which could include family, clergy, civic organizations or other acquaintances and advisers," reports The Associated Press. "The state insurance department made rules saying those navigators have to be registered with the state, be fingerprinted and have their backgrounds checked. The lawsuit challenged that rule, saying the way it's written, it's way too broad. The rules authorize a fine of $1,000 per violation." The League of Women Voters, doctors, social workers and pastors have sued to void the regulation, saying it violates free speech. "Haslam said the rules covering people dispensing advice about the new health insurance exchange are not designed to hinder enrollment," AP reports. "Haslam said the background check requirement is meant to protect people from fraud." Several other states in Republican control have passed similar laws. "While some view the Affordable Care Act as a welcome reprieve for rural communities with limited access to health care providers, others say it’s a hasty overreach that could stifle competition and raise premium rates. And it’s a disparity of opinion that not only exists between Democrats and Republicans in Congress, but also among different rural interests," reports Agri-Pulse, a Washington newsletter. About 20 percent of uninsured Americans live in rural areas, but only 16 percent of the population is rural. Jon Bailey, research director at the Nebraska-based Center for Rural Affairs, "says the new federal insurance marketplace was practically created for people in rural areas," Agri-Pulse reports. Bailey told the newsletter, "Rural people will have more choices, and the marketplace might be more competitive. The affordability of insurance will determine the success of the primary goals of the Affordable Care Act – enrollment in health insurance exchanges to increase insurance coverage and reduce the nation’s uninsured." The Nebraska Farm Bureau, which says most farmers and ranchers purchase insurance on the open market, is conducting a survey that so far indicates premium rates will increase for its members, Agri-Pulse reports. Jordan Dux, who directs national affairs for the bureau, told the newsletter, "We’ve never had this amount and this significant amount of comments on an issue ever before. The majority of those are seeing increases, some are significant increases." Enrollment will continue until March 31, but to have insurance that starts Jan. 1, enrollment must be completed by Dec. 15. Agri-Pulse is subscription-only, but is available for a free trial by clicking here. "The Food and Drug Administration has announced that it will rescind approval for three of the four arsenic drugs that had been used in animal feeds at the request of the companies that market them," Stephanie Strom reports for The New York Times. "The companies, Zoetis and Fleming Labs, already had largely withdrawn the three drugs from the market after recent studies showed levels of arsenic in chicken that exceeded amounts that occur naturally." The fourth drug, Nitarsone, is the only known treatment for blackhead, or histomoniasis, a disease that can kill turkeys. The FDA is still studying its affects. Ramsey is sharing his discoveries with the rest of the world through a Facebook page called Map Dot, Kentucky, in which he posts photos of his journeys and encourages people to respond to his posts with their own thoughts of small-town life. The site, which was created on Aug. 2, had 2,445 likes as of Wednesday morning. Ramsey has also been featured in Kentucky Living magazine, and contributes blog entries to the Kentucky Tourism Cabinet website. Ramsey also has his own website. Two weeks ago, voters in the Seneca Falls school district near the Finger Lakes in upstate New York rejected a move to consolidate with neighboring Waterloo, Clark notes. "New York offers consolidating school districts a 40 percent increase in their state aid, freezing the amount based on their aid for the 2006-2007 school year, plus money for new buildings. Had Seneca Falls and Waterloo merged, they would have seen an additional $43 million in state aid over the next 14 years." Kent Gardner, chief economist at the Center For Governmental Research in Rochester, told Clark, “The actual savings from these plans is usually just a fraction of the property-tax bill, so it’s difficult to vote for doing a radical and risky thing for something that often amounts to $20 or $30 in savings." The Rural School and Community Trust advocates for rural schools. Its website is here. Kentucky Attorney General Jack Conway says he wants Purdue Pharma to settle for $100 million or more after it missed a deadline to respond to his arguments in his lawsuit over the marketing of Oxycontin, Nick Strom reports for cn|2, a news service of Time Warner Cable in Kentucky. After Purdue Pharma failed to respond to a court motion, "all the admissions the commonwealth sought in the case were deemed admitted" by the circuit judge hearing the case in Pike County, at the state's eastern tip. Journalism groups are collaborating on national training program for police and journalists, "to foster greater understanding and awareness of the right to take photographs and video in public without being interfered with, harassed or arrested," the Sigma Delta Chi Foundation announced today. The foundation, affiliated with the Society of Professional Journalists, is making a $12,500 grant to help SPJ work with the National Press Photographers Association on the project. The foundation sees a need for better relations between police and journalists in the field. "Since 9/11, there has been a heightened awareness of anyone taking pictures or recording events in public, and the increase of cell phone cameras has exacerbated tensions," the release said. "As a result, many in law enforcement have the false belief they can order people to stop taking pictures or recording in public. Interference and in some cases arrests have led to a number of court cases, some six-figure settlements, new policies and procedures, and serious disciplinary actions against the officers involved." Next year, NPPA General Counsel Mickey Osterreicher will conduct the training in five "geographically diverse cities," the release says. A photojournalist for 40 years, he deals with such issues daily, has trained police in several cities and helped develop guidelines and policies for several police departments. While most news attention today was focused on the federal government shutdown, it seemed few people noticed that the Farm Bill expired at midnight. With the shutdown, and without a modern farm law, furloughs immediately went into effect throughout the country. "The future of farm legislation, then, is murky," with members of a House conference committee still not appointed and a House-Senate "conference timeline little-discussed in a crowded and tense political climate," Aarian Marshall reports for Agri-Pulse, a Washington newsletter. "The U.S. Department of Agriculture plans to furlough employees responsible for some daily and weekly statistical reports on agriculture that are closely watched by traders and investors," David Kesmodel reports for The Wall Street Journal. "Any delays of such reports – which include everything from daily wholesale pork prices to weekly figures on chicken-egg supplies – could affect commodity and equity investors who rely on the information. The lack of a budget deal in Congress also would bring to a halt the payment of some farm subsidies and would slow the flow of loans to farmers, industry experts said." Dale Moore, executive director for public policy at the American Farm Bureau Federation, told the Journal that direct payments to farmers probably would be suspended in the short term. "Farmland owners receive such payments regardless of crop yields, market prices or economic circumstances," Kesmodel writes. Citing Moore, he reports, "The USDA also won’t be able to process applications for loans to farmers for operating expenses, which are part of the agency’s support programs." (Read more) For a guide to how the shutdown affects the USDA click here. "Dozens of programs that create jobs, invest in the next generation of farmers, and protect the environment are without funding," says a news release from the Ohio Ecological Food and Farm Association. The programs are the Farmers' Market Promotion Program, the Beginning Farmer and Rancher Development Program, the National Organic Certification Cost-Share Program, the Organic Agriculture Research and Extension Initiative, the Organic Production Market and Data Initiative, and Value Added Producer grants. Leaders of rural schools have found ways around legal restrictions on guns in order to arm their teachers and administrators to defend against school shooters. One example is Supt. David Hopkins, who equipped 16 employees with guns to protect the 2,500 students who attend his school in Clarksville, Ark. Hopkins managed this through concealed-weapons laws, special law-enforcement regulations and local school board policies to arm teachers, Kim Severson reports in The New York Times. The five Clarksville schools lack funds to bring in security guards, so offering more than 60 hours of training to his current employees seemed like the best course of action. "Realistically, when you look at a person coming to your door right there with a firearm, you've got to have a plan," Hopkins said. "If you have a better one, tell me." Others see it differently. Following the Newtown, Conn., massacre, most states considered allowing teachers and administrators to carry guns, but only five passed such laws. In the nation's 99,000 public schools, it is estimated that less than 10 percent of teachers bring guns to school. However, "It's been creeping up on us without a lot of fanfare," Bill Bond, a school safety specialist for the National Association of Secondary School Principals, told Severson. In some states, such as Hawaii and New Hampshire, teachers with concealed-carry permits could bring guns to school under current legislation. Although plenty of states have changed or considered formally changing these laws, not many of them have proceeded. For example, in Kansas, a law passed July allowing employees possessing concealed-carry permits to bring their guns to school, but Kansas State Department of Education spokeswoman Denise Kahler told the Times she didn't know of any districts pursuing it. "The undercount stems from the peculiarities by which medical examiners and coroners make their 'manner of death' rulings," the Times reports. "These pronouncements, along with other information entered on death certificates, are the basis for the nation’s mortality statistics, which are assembled by the National Center for Health Statistics, a division of the Centers for Disease Control and Prevention. Choosing among five options — homicide, accidental, suicide, natural or undetermined — most medical examiners and coroners simply call any death in which one person shoots another a homicide." In a letter to Congress and The Washington Post, Mike Marsh, the inspector general for the Denali Commission, wrote: “I have concluded that (my agency) is a congressional experiment that hasn’t worked out in practice. I recommend that Congress put its money elsewhere.” Last year, its base appropriation from Congress was about $10.6 million, reports David Fahrenthold for the Post. The agency is designed to help rural Alaskans by building power plants, offering job training and improving health care. It is modeled after the Appalachian Regional Commission and the Delta Regional Authority. One wonders if those rural-oriented agencies and their beneficiaries might not be a bit nervous about calls for Denali's abolition. Marsh said the agency often builds projects — power plants or medical clinics — in tiny towns that won’t have the resources to keep them running, and he calls his agency an unnecessary middle man, saying the money should be sent directly to state or to tribal governments, Fahrenthold writes. The agency, though, "still funnels federal grants to projects in the state, with a staff of about 12. It still enjoys strong support from Alaska’s three-member congressional delegation, which fought presidential efforts to cut its funding. And the Alaska lawmakers have proposed a reauthorization measure designed to give the commission a lasting stream of funding." It's not the first time a federal employee has openly tried to get fired and have his agency closed, Fahrenthold writes. "Old Washington hands could remember only two other federal workers who had lobbied publicly to have themselves defunded. One was a high-level Ronald Reagan appointee. One was a lowly weather observer. Both failed. Meaning they weren’t fired. Marsh seems likely to fail, too — even though his requests arrived in Washington in the middle of a battle to cut the budget. His agency seems protected by one of Washington’s most enduring customs: the defense of home-state giveaways, even in times of national austerity." (Read more) To read Marsh's letter, click here. On Tuesday, Americans can begin buying health insurance through state exchanges created by federal health reform. Journalists have spent months trying to understand the reform law in an attempt to explain it to their readers, but unraveling the act can be a confusing and tiresome process. With open enrollment knocking at the door, Trudy Lieberman of Columbia Journalism Review asked for advice from Elisabeth Benjamin, a vice president at the Community Service Society in New York, which runs an insurance counseling program. She suggests looking at enrollment as a four-step process that she hopes will make the process easier for people. Step 1 is looking at the health insurance buying cycle, Lieberman writes. Initial enrollment is from Oct. 1 through March 31, and can be done at HealthCare.gov. Those eligible include anyone who doesn't have employer coverage, Medicare, Medicaid, or the Children’s Health Insurance Plan, also known as children's Medicaid. Step 2 is the mechanics of enrolling, which includes having an email account and information about your household, residency, immigration status and income, which will let people know what insurance they qualify for, Lieberman writes. "People with employer-provided insurance may still need to visit the exchange to see if they’re eligible for exchange coverage. Employers with more than $500,000 in annual sales that offer group coverage must give all workers a document that tells them about the existence of the exchanges, and the premium that a worker would pay for the lowest-priced plan the employer offers for single coverage. This form lets workers know if their employer coverage is affordable according to the government. If it isn’t, they can shop in the exchange and receive a subsidy. Their families, however, cannot receive a subsidy." Once a person has entered the information, he or she will find out how much of a subsidy they can get, Lieberman writes. Subsidies can either be applied to each insurance payment, which means lower monthly costs for coverage, or the purchaser can wait and collect it at the end of the year like a tax refund. Step 3 is choosing a policy from options given the names of precious metals. "The platinum policies not offered on some exchanges cover about 90 percent of someone’s medical costs; the gold plans 80 percent; the silver 70 percent; and the bronze 60 percent," Lieberman writes. "As a point of reference, the gold plan is basically the old Blue Cross model that most Americans had for the last four decades and was considered good coverage." From there, people have to decide, "Do they want to pay a high premium up front in return for lower co-pays; a set amount for a service; lower coinsurance; a percentage of the bill; or, a lower deductible?" The premium is calculated on four factors: age, where you live, how many people are on your policy and whether you use tobacco. Depending on the state, tobacco users can face a surcharge of up to 50 percent. One of the larger owners of rural newspapers, GateHouse Media, is filing bankruptcy and planning merger with a chain of newspapers News Corp. recently sold to GateHouse's owner. GateHouse announced Friday it has filed for reorganization under Chapter 11 of the Bankruptcy Code and “requested confirmation of a joint prepackaged plan of reorganization.” It listed assets of $433.7 million and debt of $1.3 billion, Sophia Pearson and Tiffany Kary of Bloomberg BusinessWeek report. When it leaves bankruptcy, GateHouse plans to pair with Local Media Group, the group that News Corp. sold earlier this month to Fortress Investment Group, which owns GateHouse. Rural communities have struggled to attract lawyers to small towns. Law-school graduates in Georgia have had a hard time finding work, even though most of the state's rural counties lack lawyers, and states such as South Dakota and Kansas, where many counties are losing population, have tried to draw lawyers through incentives for recent graduates. That problem is occurring in Nebraska, where a shortage of attorneys in some communities "means long drives for clients, but a job market for law school graduates that is as expansive as the open prairie," Caitlin Sievers reports for the Sidney Sun-Telegraph in a town of 6,700 near the Colorado border. The county, which has nearly 10,000 residents, only has 18 lawyers; 12 rural counties in the state don't have a lawyer. The U.S. Department of Energy has given the University of Kentucky Center for Applied Energy Research a $3 million grant to advance technology to capture carbon dioxide coal-burning power plants. "The announcement comes on the heels of regulations proposed Sept. 20 by the Environmental Protection Agency to sharply reduce carbon emissions from new power plants," the university notes in a news release. "This development presents serious challenges to the coal industry, which currently lacks cost-effective technology that would enable it to comply with the proposed lower limits." The project "will advance the DOE's goal of having technology available by 2020 that can achieve a 90-percent carbon dioxide capture rate, at a cost of $40 per metric ton of carbon dioxide captured," states the release. "A major cost associated with commercial carbon dioxide capture is the size of the 'scrubber' needed to handle the volume of flue gas produced by a power plant. UK has developed a catalyst to speed up the absorption rate of the solvent used, so the scrubber can be much smaller. Overall, the UK technology could reduce the cost of carbon dioxide capture by 56 percent, compared to the current DOE reference case." To visit the Center for Applied Energy Research, click here.